An oft misunderstood component of food. When you think of protein, what comes to mind? Usually people think of meat and muscles. 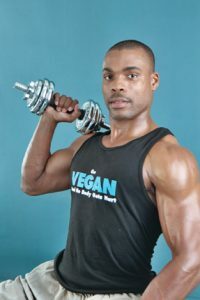 Many associate protein with animal products, and feel that animal meat must be consumed with almost every meal, especially if you want to gain muscle. And protein is a wonderful, powerful product! In fact, proteins got their name from the Greek word proteos, meaning taking first place, or primary because of its importance in human health. But theres more to it than thinking we simply need to eating animals. Originally when scientist were researching and found proteins, before giving it that name, they simply described their find as animal substance. But things took a mysterious twist, when in 1728, scientists found this same animal substance in wheat flour. (source) So, animal substance, no more! It got more intriguing to scientists of that time. But today, we now know that protein comes from a vast array of food sources, not just animals. So what are proteins? They are biochemical compounds consisting of one or more polypeptides typically folded into a globular or fibrous form, facilitating a biological function. Get it? Makes complete sense, right? Hm, ok, let me try again. Thaaaats right. Proteins are made up of smaller building blocks called Amino Acids. Legos come in a multitude of different colors and sizes; Amino Acids come in a multitude of different shapes and sizes as well (and have different names but well not introduce those here.) And depending how the amino acids are connected, it will determine what the protein is doing in your body. Put your building blocks together one way, and you get a little red fire truck. Similarly, the way a protein is built will determine its role in your body. Not all Proteins Are Created Equally. Thats a lot more than just making big, powerful muscles! 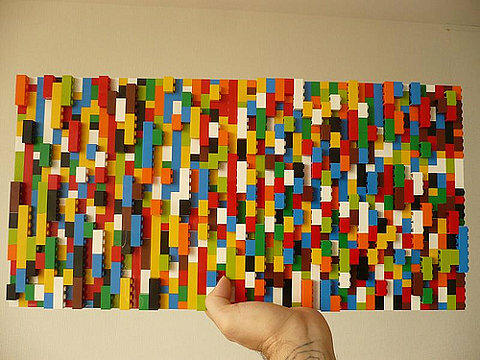 Like individual Lego blocks can be put together in certain ways to make different objects, how your body places Amino Acids together will give you a different result. And because all of these different TYPES of proteins are made from different arrangements of Amino Acids, it is important to not just get general protein in your diet, but to get a variety of protein so you can make sure youre getting a variety of all the amino acids. Different food sources have different combinations of amino acids in them. 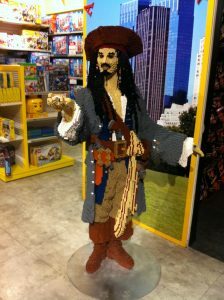 You dont want to use only red Lego blocks all the time, or only the 6-peggers! Variety of size and color in Legos is like the need for different types and sources of protein in your diet. Amino Acids: Gather Up Your Legos! There are 20 different Amino Acids (individual Lego blocks) that combine in different ways to create the many different proteins to fulfill the many different roles, as stated above. The average, healthy body can usually make 11 of these 20 amino acids, leaving the other 9 amino acids necessary to get through what you eat or drink. These are called the essential amino acids, because it is essential for you to make sure you get them from your foods. Have you ever heard of a Complete Protein? That just means the protein in a single food souces is a type that contains ALL 9 of those essential Lego blocks. Is this important? Well, yes and no. It is important to get all of the 9 Essentials but its not required to get them all in one food item, or even all in one meal. As long as you get good variety regularly, you should be okay. And there are plenty of plant protein options that may not have all 9 essential amino acids by themselves, but will provide ample building blocks when included in a diverse diet maybe they only have 1 or 2 of the amino acids, or maybe they have 8. Keep switching up your foods, take it in the fruchtpresse and youll get them all. You can get plenty of protein from non-animal sources, should you choose to do that even if you want to build muscle and pump iron! So get your variety, get your building blocks, and let your food help create the masterpiece of a healthy, growing, and glowing YOU!